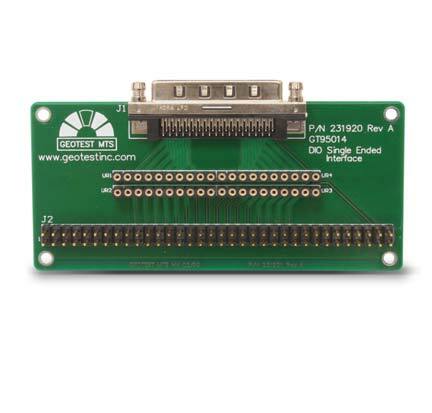 Connector Interface for GT5xxx/GX5xxx/GC5xxx, SCSI to 100 Mil Grid, Single Ended - GT95014 | Marvin Test Solutions, Inc. The GT95014 offers a 68-pin SCSI interface to 100 mil, 68-pin grid interface. Compatible with GX5050, GX5150, GX5732, and GC5050 modules, the GT95014 supports single-ended data lines and pull-up/pull-down connections (user supplied pull-ups).